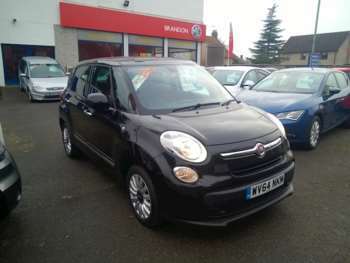 The Fiat 500 returned to the market in style back in 2007 and has since become the most fashionable supermini currently on sale. 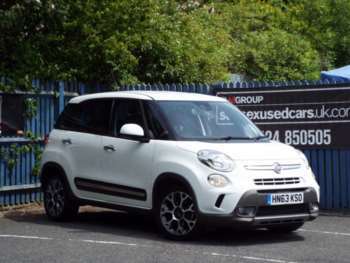 It's unsurprising that Fiat decided to capitalise on this popularity by creating the 500L, which is a bigger, bulkier alternative to the standard model. 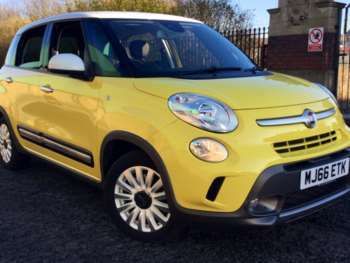 First unveiled in 2012 after being delayed, the Fiat 500L expands this family of Italian city cars and is really a rival for the likes of the Citroen C3 Picasso and the Mini Countryman. 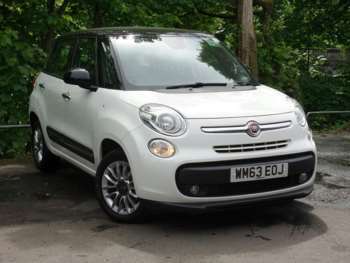 With a major marketing campaign behind it the 500L is already endowed with a decent reputation as a cool and practical family car, but what else does it offer? 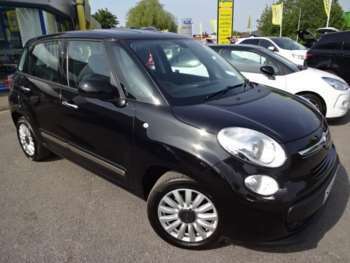 On the outside the 500L for sale looks quite a lot like its sibling after a good dose of steroids. Everything is bigger and more rounded while still remaining within the realm of the fashionable. Duck inside and you'll be greeted by an interior that really feels a lot bigger and airier than you might expect. The dash is well laid out and adorned with pleasingly sturdy buttons, all of which should stand up to the vigour of family usage. Legroom is good in the back and the rear seats are actually mounted in a way that lets them slide around so you can make adjustments depending on the size of your passengers and the type of load you're lugging around. A 414 litre boot offers a decent amount of luggage room and there are the usual array of hidey-holes and compartments into which you can place all of the accessories necessary for a long haul trip. In terms of engines you can choose from a 1.4 litre petrol power plant or a 1.3 litre MultiJet diesel unit. There's even a TwinAir version with a few more horses under the bonnet, although to be honest it's not as if performance is exactly this car's forte. 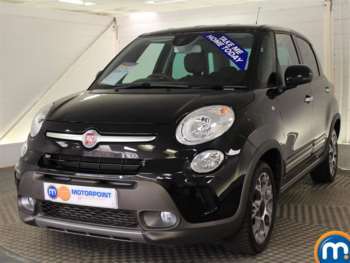 The new price of the Fiat 500L ranges from £15,000 to around £20,000 and because it has only been on the market for a short amount of time you will find that used examples are relatively difficult to find. Prices for what few second hand models there are will commence at close to £14,000 and for this you'll be getting a nearly new car which should be in pristine condition. 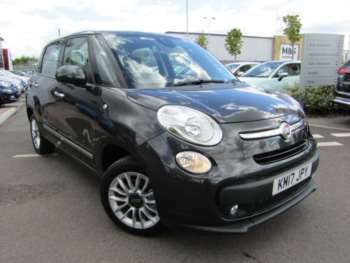 The approved used Fiat 500L is so early in its life cycle that there are not really any obvious problems to report on here. 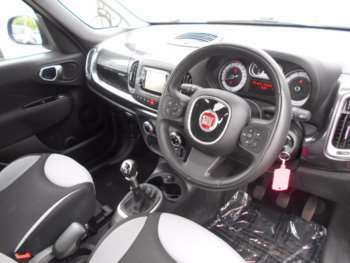 Fiat has improved its reputation for reliability and build significantly in recent years and this model is based on a modified version of the Punto platform, so it should be pretty solid. With any nearly-new purchase you will want to make sure all the paperwork is present and correct and also check out the state of the warranty to give you total peace of mind. 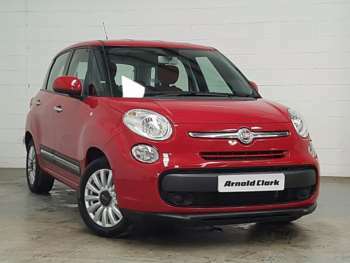 The relation to the Punto should make parts and servicing for the 500L relatively affordable and you can expect it to sit in synch with the standard 500 when it comes to pricing. This means front brake pads should cost around £35 and you'll get a replacement headlamp for £70 or so. The usual bits and pieces that need regular replacement should be inexpensive, with £6 getting you an oil filter and a paltry £4 buying some spark plugs. 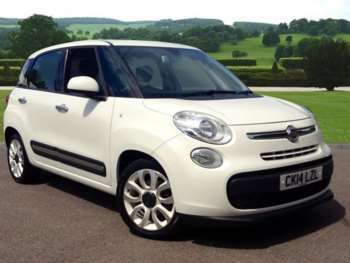 What the Fiat 500L lacks in performance it more than makes up for in ride comfort and overall ease of use. Adults can comfortably cloister themselves in the rear for long journeys and the suspension is soft enough to soak up the damage dealt out by poorly maintained urban streets without compromising the adequately taught handling. A small touch which helps with the comfort is the upright nature of the seating, which means you will not be slouched over as you drive. 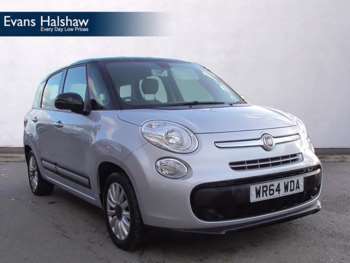 Combined with great all-round visibility it lets you feel like you are in a dominant position on the road rather than being cooped up in a car that is a bit weedy. The 1.3 diesel is a little slow off the mark but has plenty of torque behind it to help pull you onwards while the petrol engines have a bit more oomph with only minor hits on the frugality.